Watching a parent experience the effects of Alzheimer’s disease can be troubling, especially since there is currently no cure for this memory illness. Luckily, scientists are constantly searching for ways to combat cognitive decline. A pilot study from German researchers recently published in the journal Molecular Psychiatry found that some Alzheimer’s patients (4 out of 6) responded positively to deep brain stimulation. Additionally, 42 patients with this illness in the U.S. and Canada were enrolled in another study – the largest to date – to see the effects of deep brain stimulation on the disease. 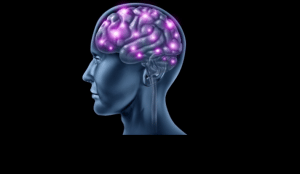 Deep brain stimulation involves surgically implanting a medical device like a pacemaker and delivering mild electrical pulses to targeted areas of the brain. DBS was first approved in the U.S. in 1997 and has been used through America, Canada and Europe. Dr. Ricardo Osorio, a research assistant professor at the New York University School of Medicine, added that medications can improve the quality of life for people with Alzheimer’s, but they don’t have long-term effects to help slow the progression of dementia or prolong life expectancy. This has led investigators to deep brain stimulation, which is currently used to treat Parkinson’s patients. The German researchers recruited six participants with mild to moderate Alzheimer’s who underwent brain stimulation tests. The nucleus basalis of Meynert, the part of the brain that’s linked to the neurotransmitter acetylcholine to help with proper thinking, was targeted. The patients were treated for 11 months after one month of on-and-off treatment every two weeks. Throughout the year, four participants stayed stable or improved. Additionally, the Functional Neuromodulation group is working on a control-based trial with some of the 42 participants undergoing brain stimulation while others are given no real treatment. Instead they will have a device implanted, but it won’t be turned on. “There is an urgent and growing need for new and better options to treat Alzheimer’s,” Dan O’Connell, chief executive officer and co-founder of Functional Neuromodulation, explained in a statement. If your parent or spouse has been diagnosed with Alzheimer’s or another form of dementia contact the Aegis Living near you and let us help answer your questions.